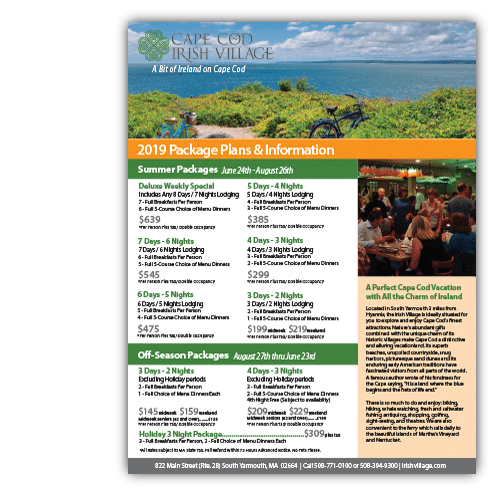 Cape Cod Irish Village is pleased to present you with our 2019 Rate & Special Package Information. Below you will find more information and links to those special packages, as well as a downloadable PDF of those Rates and Packages. As always please call us at 508-394-9300 or email us with any questions you may have. We look forward to seeing you in 2019. Céad Míle Fáilte! Want More Information? Call 508-394-9300, or send us a message below and one of our reservation staff will get back to you!